Calling all Prince and Elton John fans! 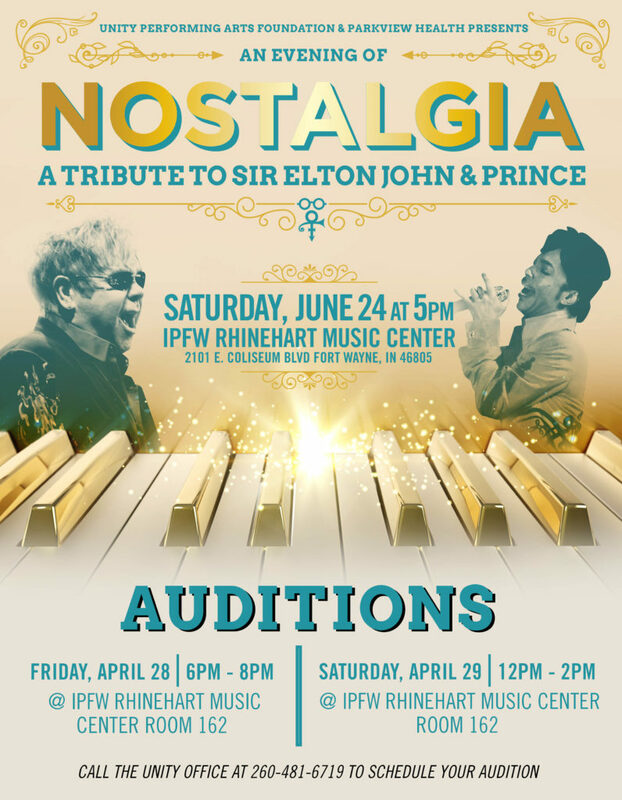 UNITY is looking for Fort Wayne’s finest singers to perform at our Summer concert on Saturday, June 24th honoring musical legends, Prince and Elton John. Grab your guitar, bring an instrumental cd, or simply come and audition a cappella to your favorite Prince or Elton John song. Auditions are being held on Friday, April 28 from 6pm – 8pm and Saturday, April 29 from 12pm – 2pm at the IPFW Rhinehart Music Center – Room 162. Please call the UNITY office at 260-481-6719 to schedule your audition.